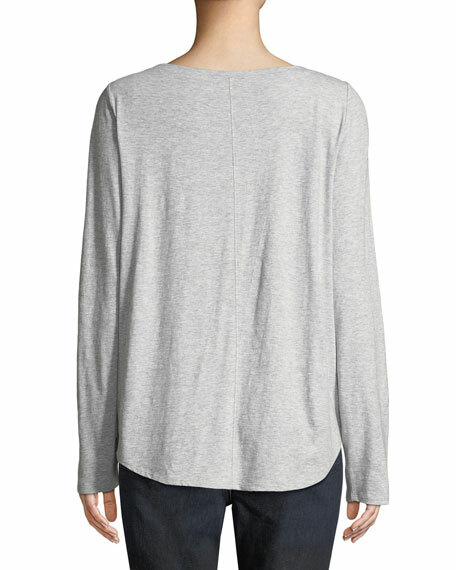 Eileen Fisher slub cotton jersey tee. V-neckline. Elbow sleeves. Left chest pocket. Relaxed fit. Curved hem. Pullover style. Organic cotton. 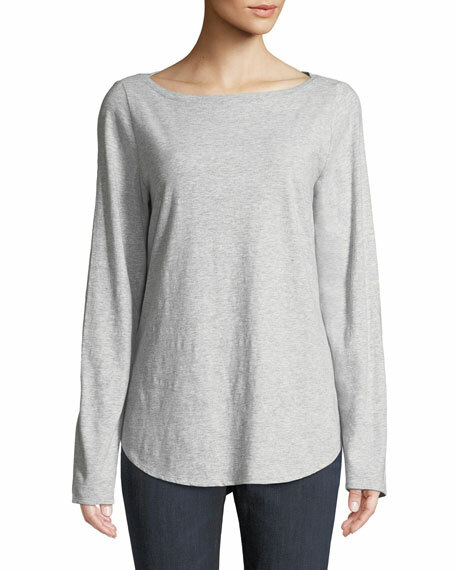 Eileen Fisher slub cotton jersey tee. V-neckline. Elbow sleeves. Left chest pocket. Relaxed fit. Curved hem. Pullover style. Organic cotton. Machine wash. Imported.